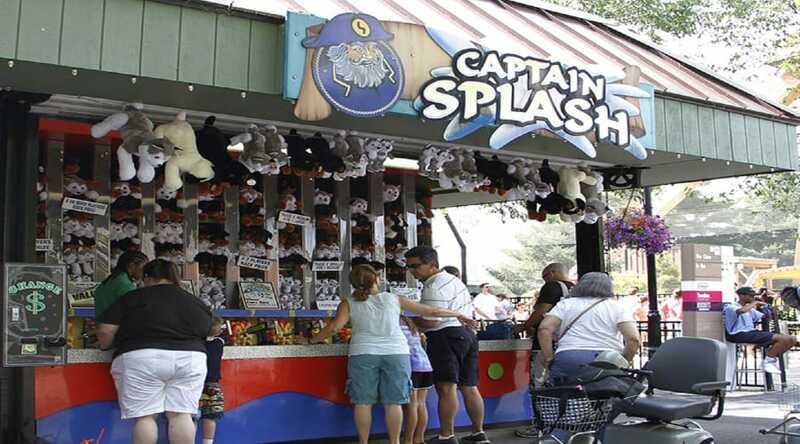 Race against others by shooting water at a target to light up your tube in Captain Splash! First tube to light to the top wins! This game, located in the Pioneer Frontier℠ area, requires at least 2 players and has a winner every race!